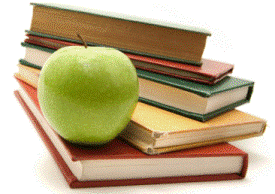 Welcome to the Investing In Stocks Trading Courses page! So, there comes a point where you must ask yourself..."Am I serious about becoming a successful and profitable Stock Trader?" If the answer is "Yes", commitment and educating yourself of ALL the components of this game is a must. And you must treat this like you are a Business Owner. And every successful business owner knows that both a Time and a Money Investment is required to become profitable. There is a ton of free information on this site to help you along on your journey to reach your goal of being a Master Stock Trader. But I think you know, you need to take that extra step and invest a bit of money to reach true success. The investing in stock courses I recommend are not free, and there is a good reason for that. 1. 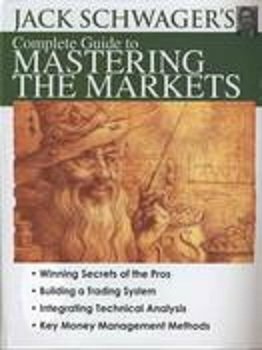 The first Investing in Stocks Course I am recommending is the Trading Master Plan by Professional Stock Trader Dave Gagne. Dave joined TD Waterhouse as a investment representative, the largest discount brokerage firm in Canada, and has completed various industry-recognized courses, such as the Canadian Securities Course, The Conduct & Practices Handbook (ethics), Derivatives Fundamentals Course and the Options Licensing Course. His experience and success in trading has come from endless hours of research and independent study, numerous cases of trial and error and the diligent application of the trading style in his investing in stocks course. And I personally think this is an outstanding course and personally recommend it. This course will take you step by step and teach you just about everything you need to know about stock trading. in-depth training and understanding of core technical analysis concepts so you will know when to buy and when to sell before you enter a trade. This includes how to understand Japanese candlestick charts and patterns. 23 trading rules to use for picking and trading your stocks. This includes a proprietary profit taking formula to improve your profits. A Free Money Management Calculator Software. This tool will Automate your stock trading, freeing up more of your time. Members Access To Trading Video Lessons. You will have instant "MEMBERS ONLY" access to a growing library of trading video tutorials, chart lessons and mp3 audios and E-books. Personal Email support from Dave himself. This Investing in Stocks course is very reasonably priced and is an instant download. You also get a full 60-day guarantee. So if for some reason you're not happy, just let them know and they will give you a full refund. 2. 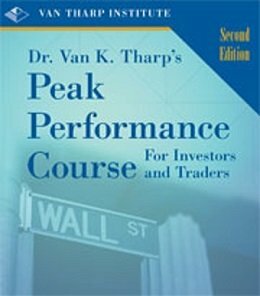 The second Investing in Stocks Course is Peak Performance Home Study Course for Traders and Investors by Dr. Van K. Tharp. Dr. Van K. Tharp stands out as an international leader in the industry of professional stock trading coaches. Helping others become the best trader or investor that they can be has been Tharp's mission since 1982. His stand-out book Trade Your Way To Financial Freedom is considered a classic is stock trading systems development. Tharp uses a combination of skills and education to fine-tune his strategies to coach, consult and teach traders and investors. He received his Ph.D. in psychology from the University of Oklahoma Health Science Center in 1975. This home study course is Dr. Tharp’s masterpiece. It is designed for all levels of investors and traders—beginners, advanced, unsuccessful traders seeking to better their performance and successful traders who want to be continue to improve. How to design a winning investing in stocks game plan. Risk control, stress control, turning around losing attitudes and beliefs, developing discipline, and making market decisions. Learn about the six levels of belief and how those beliefs influence your investing and trading. Be able to deal with investing and trading mistakes immediately so that you don’t have to repeat them. Trader Preparation Self-Assessment.Find out by answering questions regarding your psychology, your business plan, your systems and other major factors of trading success. The different Stock Trader types and how understanding yours can help you leverage your strengths and manage your challenges. Dr. Van Tharp offers a 12 month guarantee. If you're not delighted in every way at the end of the one year trial, send the course back, along with your trading journal, business plan, and documentation showing that you have applied the course material. He will refund your purchase price of the course in full (excluding shipping charges). First, a little about who Jack Schwager is. Jack Schwager is one of the leading experts on investing in the commodities and stock market. He is well known for his work as an author, analyst, trader, and public speaker, and is a member of the Elite Trader's Hall of Fame. Now Imagine having an in-depth conversation with not one-but dozens of the world's greatest traders. Jack Schwager has, and his three best-selling "Market Wizards" books reveal intimate secrets of the trading superstars. He's filtered years of in-depth research into an amazingly comprehensive home study workshop. Everything needed to establish an ongoing program for stock trading success is addressed, lesson-by-lesson, point-by-point. From the basics to more complex stages of trading, Mr. Schwager covers each "building block" in clear, easy-to-follow steps. This awesome 24-lesson workshop takes you through every phase of the stock trading process-clearly, methodically, and persuasively. Rather than overwhelming you with information, Schwager has carefully crafted each session into a self-contained workshop that can be digested easily and managed over time. The Reference guide reinforces and illustrates the main points of each lesson. Plus the online Chart Companion permits you to study each example in greater detail. And the extra bonus lessons teach you to use Easy Language to program, test, and analyze data using your own trading system. Click here to investigate for yourself. Have you used any of our recommended Investing In Stock Courses? Did you experience a positive impact from it? Share your personal experience and write your review including how it helped you the most for Trading and Investing in Stocks in the stock market. Return From "Investing In Stocks Trading Course" to the Home Page "Stock Market For Beginners"